Hello! 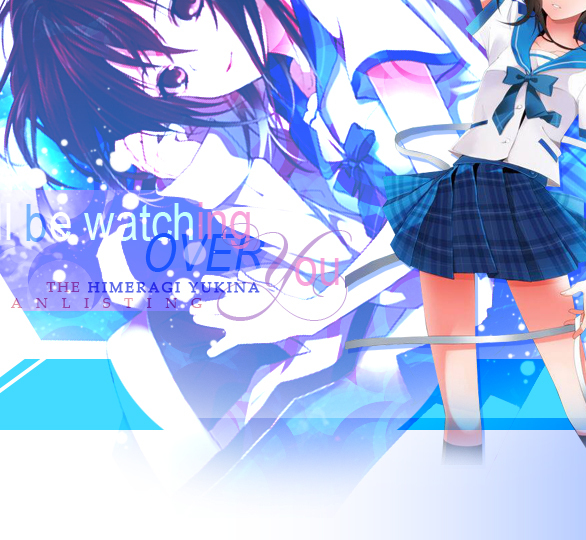 Welcome to "I'll Be Watching Over You", the TAFL and the TFL approved fanlisting dedicated to Himeragi Yukina , the heroine from the series Strike the Blood, written by Mikumo Gakuto and illustrated by Manyako! Yukina is a Sword Shaman of the Lion-King organization, also, Akatsuki Kojou observer. She's the character of the series that I understand less tha any other, because she always appears like a quiet girl, but she has a great determination. She's Kojou's monitor and she has feelings for him, but her reactions in his regards are always strange. Sometimes she's the kind Yukina, sometimes she's the jelous Yukina, sometimes more she's the cold Yukina. Her difficult personality is one of the reasons why she's so interesting and adorable, I love her so much! Please, choose a link from the left to fully access the site, and if you're a fan of Yukina, feel free to join her fandom! without permission. 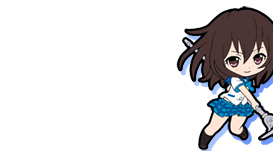 Images from Zerochan.net.